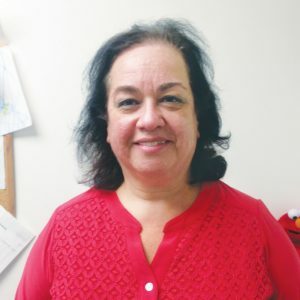 Yaffa has been the Center’s Registrar since 1997, occupying a crucial administrative role that keeps the records straight for our hundreds of programs and thousands of members. She’s not afraid to try new approaches to old problems, in work and in life. Yaffa, a registered nurse, came to the Center as our Summer Camp nurse. She grew up in the community. “I love my colleagues and what the Center stands for,” she says. Outside of work, Yaffa enjoys time with her grandchildren, her friends, and reading.